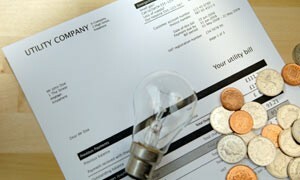 Electricity bills need to be paid monthly to avoid reconnection charges. Local community taxes need to be paid annually and are due each Spring. We are happy to pay any bills on your behalf. We will need your permission and the appropriate account numbers. although we will be able to obtain the account numbers from the authorities if needs be. We will then check each month with the utility companies to see if you have any account due for your apartment. Please note that we will only charge when there is a payment to be made. Disconnected accounts. If we need to organise to have your account reconnected after the utility company have disconnected you, then we will charge £40.00 +VAT which includes the reconnection fee from the utility company. Also if we have already paid your account on your behalf yet we have not received payment from yourselves within a reasonable time frame (say one month) then we will also apply the above charge to cover our additional costs and charges. Community Tax – If you are visiting Bansko in the spring then it is quite easy to reduce your costs by paying this yourselves or if you require us to make the payment on your behalf our charge is £10.00 for payment of the community tax +VAT, or if not paid to us within 14 days of receiving our advice then the fee will be £20.00 +VAT to cover the additional visits to the Obstina (Town Hall) to update your tax bill. During the year in may be necessary to confirm your meter readings for the utility companies or complex management teams.